Mario Gotze has returned to light training for Germany following a fractured rib. The Bayern Munich attacking midfielder missed the DFB-Pokal final because of the injury but was back on the training pitch with the Germany squad in Switzerland on Wednesday ahead of pre-Euro 2016 friendlies with Slovakia and Hungary. 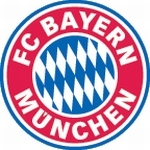 Gotze found himself largely out of favour at Bayern during Pep Guardiola's final season at the Allianz Arena and, despite Carlo Ancelotti taking the reins for the 2016-17 campaign, had been heavily linked with a reunion with former Borussia Dortmund coach Jurgen Klopp at Liverpool. He then sparked further rumours by ending his association with his agent but insisted on Monday that he is keen to catch Ancelotti's eye in 2016-17, and Joachim Low believes the midfielder is right to remain in Bavaria. Speaking about Gotze in a media conference on Wednesday, the Germany coach said: "I had contact with Mario over the last weeks and he informed me about everything. We also talked about that and discussed his situation. Mario also talked with Ancelotti over the phone, which was expressed wrongly in the media. "It was said that he would have no chance under Ancelotti. But of course no coach can guarantee a player anything. I think that Ancelotti suggested that with the new season everyone start at the beginning and that Gotze then has the same chances like everyone else. "Other clubs were interested in Mario, but during our talks I had the feeling that Mario is still with his heart in Munich. He wants to prove it and in the end told me that he wants to stay in Munich for another year. He wants to take the chance with the new coach. "I think that's absolutely okay, because he feels that way. So I think it's the right decision for him."